Good Day Beautiful 1's and Crafter's. Happy Friday to everyone.. Thanks for stopping by today. 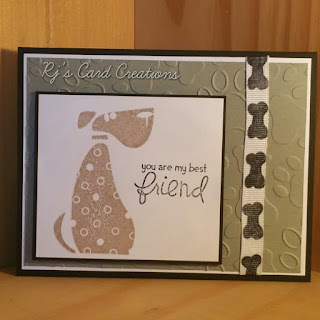 Today I have another Pet Card to share with you. Hope you like this one too. I love how it turned out what about you? I know you have lot's of thing's to do an i appreciate you stoppping by. 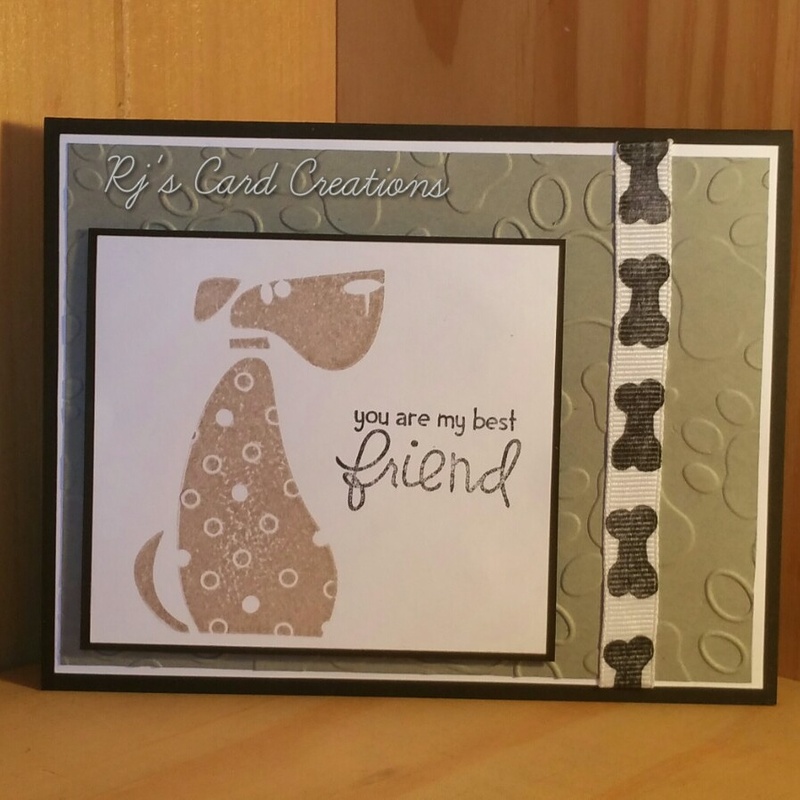 Ribbon: used the bone from the stamp set on white ribbon to create it..
That is one nice card RJ. Love this image. Ooo loving the stamped image on the ribbon! I forgot all about doing that! And yes a person's best friend is a dog!